The instructions on the FeedBurner site show all of the steps involved in downloading and setting up the FeedBurner FeedSmith WordPress plugin. There is one other step involved that isn’t mentioned that you may want to add to your WordPress blog. This WordPress guide will cover that other step. First off if I installed your blog you should have the plugin installed and activated already. If I asked for your FeedBurner account then all of this is likely done for you as well. 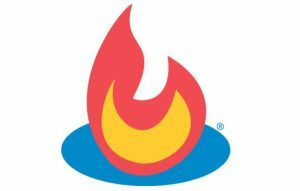 If not you will still need to sign up at FeedBurner.com and ‘Burn’ your feed. After adding your new FeedBurner feed URL to the proper areas of your WordPress blog the other place to add it is in an RSS sidebar widget. Click Appearance, Widgets and drag the RSS widget, from the left available area into the sidebar on the right. Click the little arrow box on the top right of the widget to open it, place your FeedBurner URL in, and configure how and what you want to be displayed. Click Save and close the widget. FeedBurner should redirect your feed automatically, but if you have a feed URL embedded into your particular theme you may want to edit the theme with the FeedBurner feed URL. Don’t be afraid to check out all the different feed options over at FeedBurner, especially the email subscriptions. For that click the Publicize tab and look on the left side for them. Make sure to activate it after you grab the code! Next Post WordPress Version 2.9 Is Ready Or Is It?